For the Google Pixel 3 to last you a long time, you need a case to protect your smartphone from scratches and accidental falls. Here are the best Google Pixel 3 cases and where to buy them. Otterbox is the leader in smartphone cases that offer maximum protection. For the best protection, I suggest that you opt for the Defender Series. However, if you want a more sleek and stylish design, while still getting the same protection, go for the Symmetry Series. Bellroy offers business casual leather cases that fit snugly on your Pixel 3. And, if you want a leather wallet case for your Google Pixel 3 then they offer that too. Widely recognized as the original dual-layer case, DualPro delivers 10-ft. drop tested military grade protection through a shock-absorbing inner core and scratch-resistant outer shell. The iconic Incipio DualPro offers Google Pixel 3 and Pixel 3 users with durable, everyday protection in an all-encompassing design. 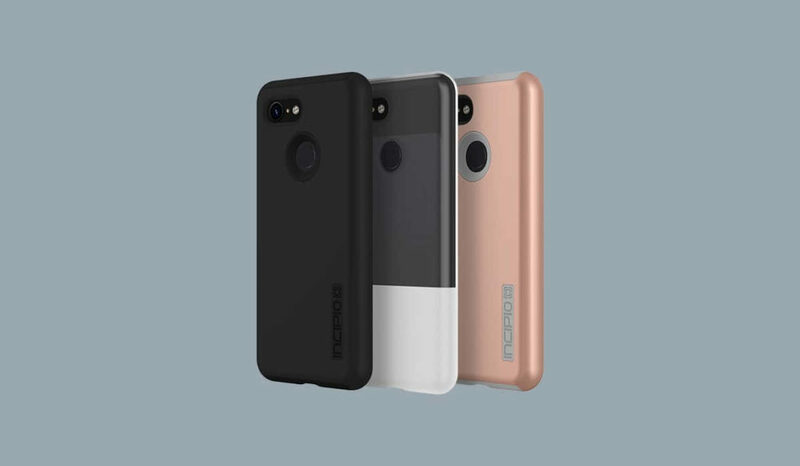 Incipio also has a line of transparent Google Pixel 3 cases that protect your smartphone while still allowing Google design and look to be seen. Designed with a highly durable Flex2O™ polymer material, NGP offers stretch and tear-resistance while providing Google Pixel 3 and Pixel 3 users with an enhanced grip and low-profile protection. NGP’s raised bezel offers added screen defense and the lightweight, translucent construction allows the brilliant features of the Google Pixel 3 and Pixel 3 to shine through. Tech21 offers durable Pixel 3 cases that offer decent protection due to their rugged yet slim design. Popular choices include the Evo Check, Evo Max, and Pure Clear cases. The cases have been tested and provide 12ft, 14ft, and 10ft of drop protection. If you’re looking for a waterproof case for the Pixel 3 then LifeProof offers the NËXT series of Google Pixel 3 cases that offer improved protection from dirt, snow, and drops. Great choices from the Speck lineup of cases include the Presidio Grip and Presidio Stay Clear cases. Though the cases are not bulky they provide good protection and awesome grip. If I were buying a case for my Pixel 3, I would buy an Otterbox case as they are known to offer the best protection. That, and they have never failed me when it comes to safeguarding my smartphones from falls. However, we all have our personal preferences and as such, you’d choose the case that best suits you. These are the best Google Pixel 3 XL cases and where to buy them.